Please provide your details below to download your free information pack. undertaking anything from small maintenance repairs to major construction projects. ACTMIX is a division of A.C.T Construction supporting it’s in-house teams for all concrete and rendering requirements. The division also supplies to customers across the full spectrum of the construction industry, providing bespoke quantities to domestic householders and building companies. Providing a comprehensive service for all scaffolding requirements we are committed to delivering a service of the highest quality for our clients and customers, by completing contracts quickly, efficiently and to our customer�s full satisfaction. Health and Safety is unquestionably a chief concern for all Property Managers and changes particularly under the Construction and Design Regulation place particular liabilities which requires them as a client to be responsible for legal duties under these regulations. 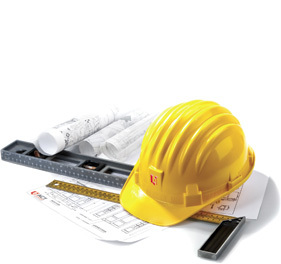 A.C.T Construction offers a comprehensive range of construction services. Never over or under order again! Concrete mixed on-site to your requirements. A.C.T Scaffolding Services operate to the highest quality standards in a high risk industry. Health and Safety is unquestionably a chief concern for all Property Managers. A leading North East based company specialising in construction�for both public and private sectors. Our expertise providing for design and delivery�of complex construction projects, small works and repairs and maintenance. A.C.T services, embraces three key service delivery areas each of which possess the necessary expertise to deal with all construction, repairs and maintenance, scaffolding, ready mix and�health and safety requirements.